Printed vinyl transfer or digital printing is where a design is printed onto a vinyl film with solvent inks which is then added to the item using heat presses. The advantage of this method is any material can be printed onto with no set up costs. Team kits and large area printing onto polyester / cotton mix polo shirts are a great example for using this method of personalisation. 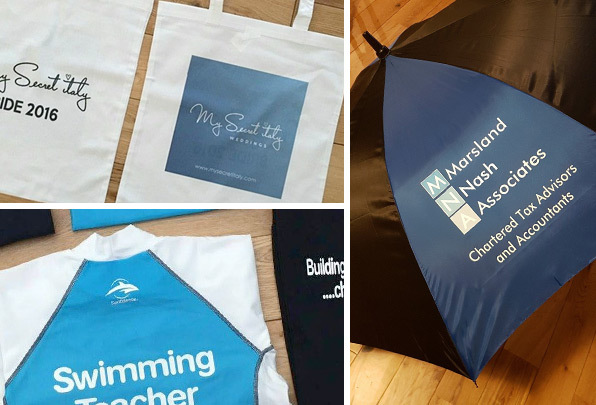 Other uses can be to print on items such as umbrellas, waterproofs, Hi Viz and sports bags.